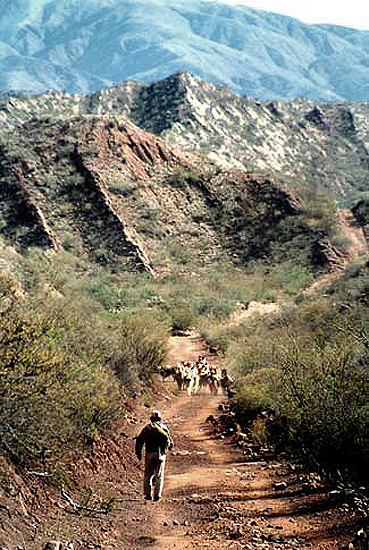 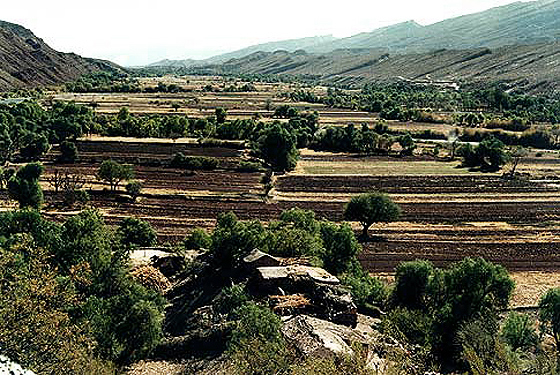 The valley and mountain range near San Juan del Oro river (in the frontier of departments of Potosí, Chuquisaca and Tarija) is an ancient traffic route traditionally used by llama caravans transporting goods between the highlands and the lower tropical regions. 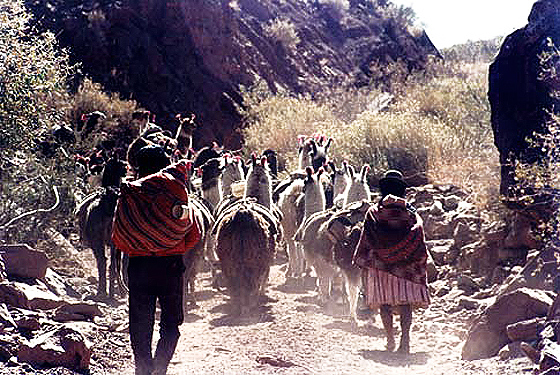 Even today, a few "llameros" (leaders of llama caravans) keep up this tradition though they are replaced more and more by truck drivers. 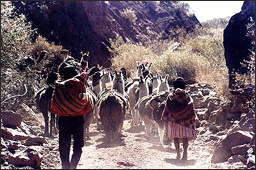 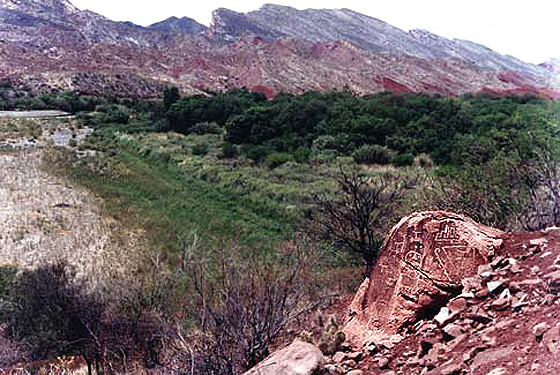 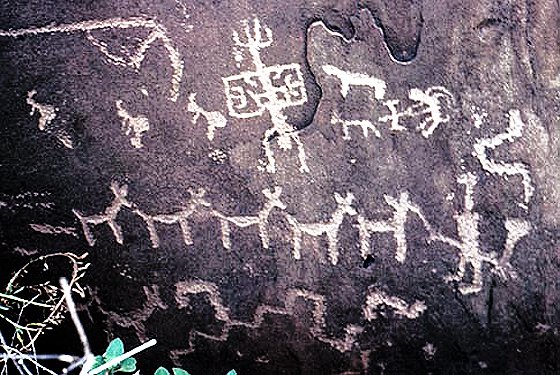 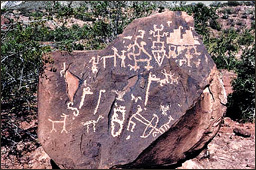 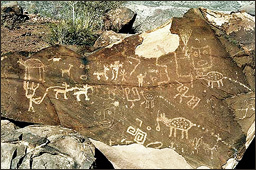 The traditional route is frequently marked by engraved rocks with the llama as one of the most common motifs, sometimes lined up for transportation of goods, other animals, and human figures, apart from faces, geometric designs, feet and hands. 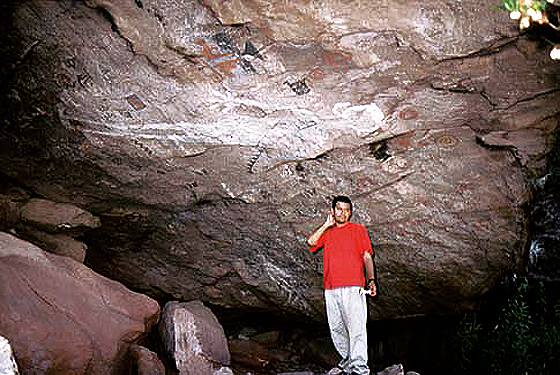 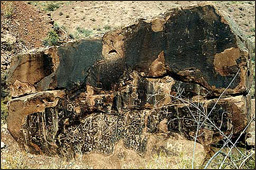 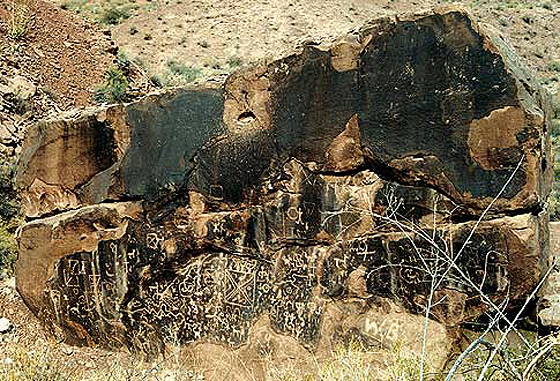 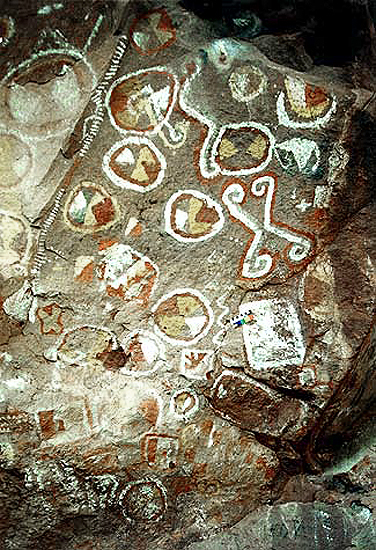 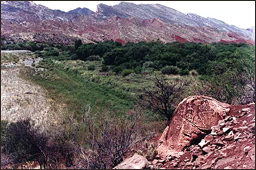 Elaborate multi-coloured rock paintings also occur in the same region. 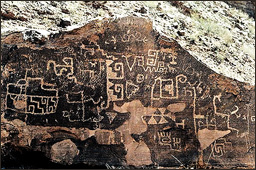 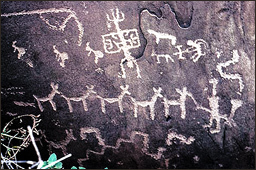 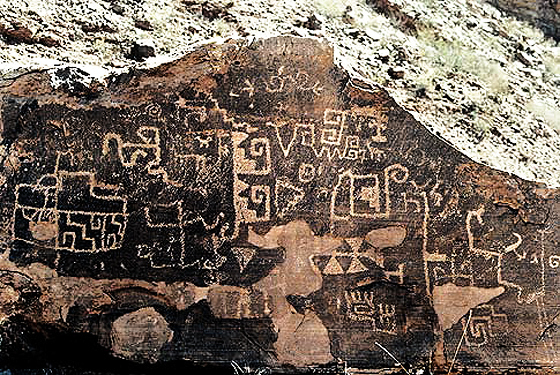 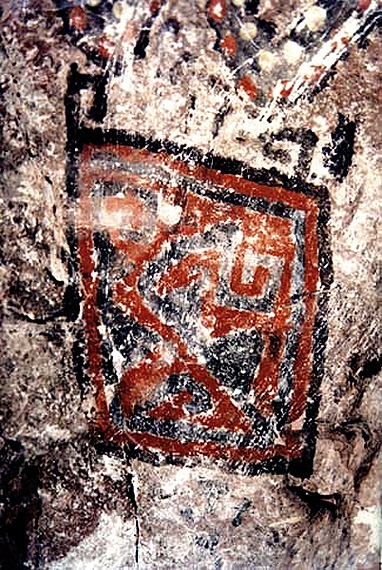 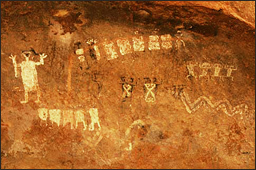 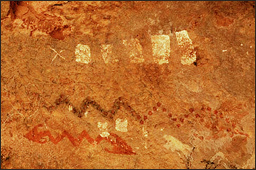 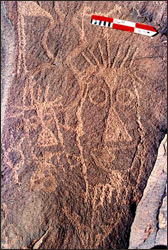 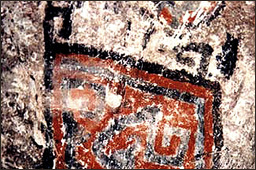 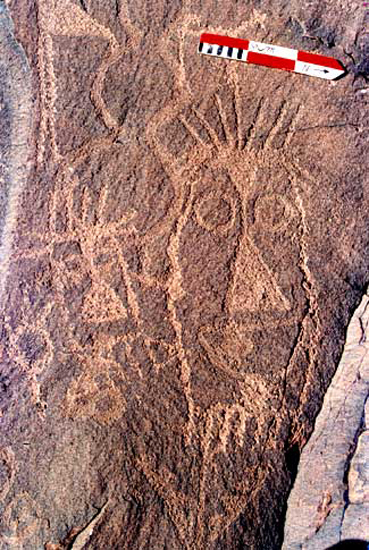 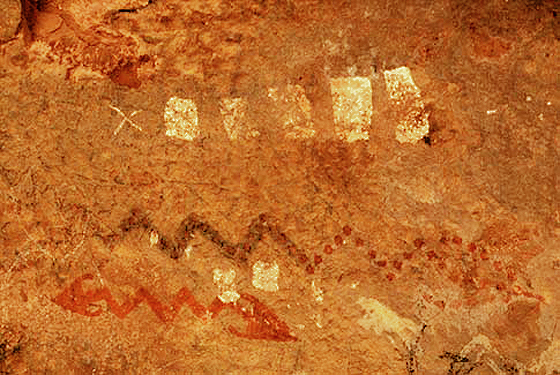 A variety of bright colours have been used to depict large abstract designs, sometimes animal and human rock art figures. 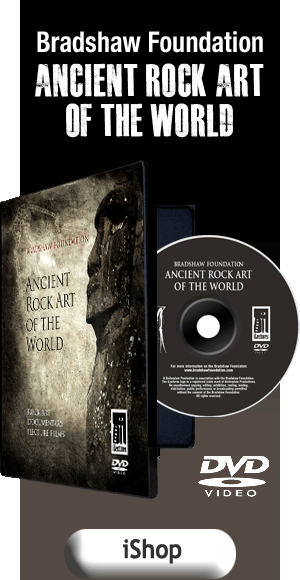 The Bradshaw Foundation funded an expedition to Bolivia to enable new photographs to be taken by Carlos Methfessel in 2001. 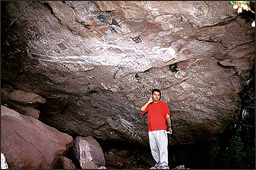 While in the region he discovered another cave depicting human figures clad in a sort of "uncus", a long indigenous garment accomapnied by serpents and other geometrical symbols.